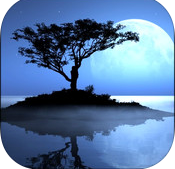 Developer Quote: "Reflection is a photo app which can easily add a realistic water reflection and ripples to any photo." 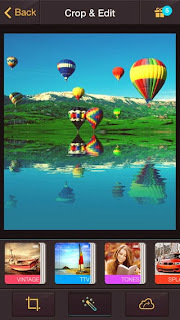 Apps are extraordinarily helpful at turning your everyday snaps into stunning work of art photos. For almost all apps, no instructions are necessary. That is the beauty of photo apps in particular. Point and shoot then turn that pic into a stunning creation. 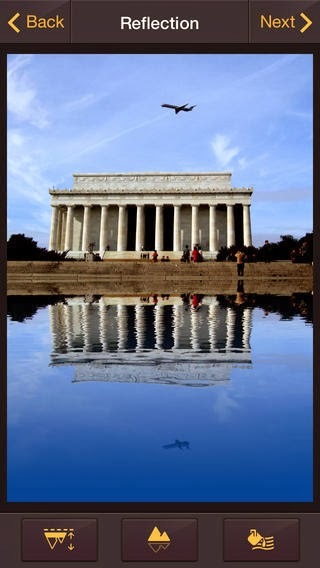 You can do this with Reflection, a photo effects iPhone app. Select to either take a new pic with the camera or upload one from your photo album. 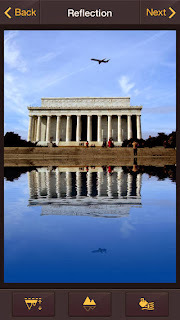 Place the dividing reflection line where you choose, then under that line you will immediately see a pool of "water" with the reflection of your subject above it. This is such an engaging illusion! I did this with my puppy running on the lawn, and the final picture appeared as though she was looking down at her reflection in the water. Very adorable indeed. 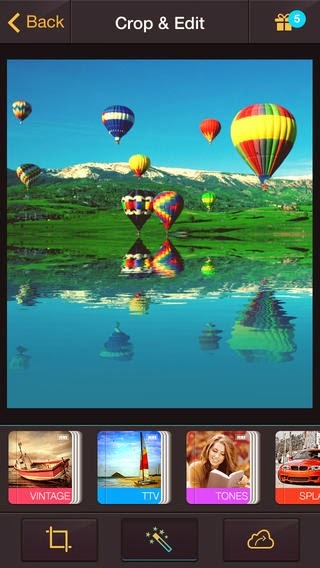 There are in-app purchases available such as InstaFX Pack, Color Splash, TtV Pack, LOMO Pack, Tones Pack and more. Each of these provide original themes for your pics. The key thing to notice about Reflection is its simplicity of use, yet the finished result is wonderful. Check it out while it's free!